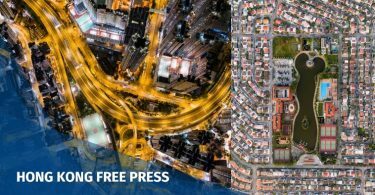 Traffic jams were spotted during Monday rush hour around Central and the Western Harbour Crossing as road users adjusted to the new Central-Wan Chai Bypass. The bypass, which is 4.5 kilometres long and took nearly 10 years to complete, was partially opened on Sunday. It cost HK$36 billion and the government said it would speed up commutes between North Point and Central. Traffic jam on the Rumsey Street Flyover. Photo: Apple Daily. Drivers along the Connaught Road Central flyover and the Rumsey Street flyover were met with congestion on Monday morning. Central-bound traffic along the Western Harbour Crossing was backed up with lines stretching to the entrance at the Kowloon side. Commuters travelling along the bypass reported the trip to be largely smooth. On Sunday evening, the Transport Department advised motorists travelling to the Central and Western District and the Western Harbour Crossing to use existing routes along Gloucester Road, Harcourt Road and Connaught Road Central. 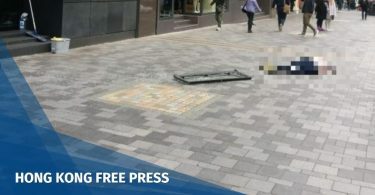 The Department added that traffic along Connaught Road Central and the Central district will be busier during morning and evening rush hours, and urged motorists to plan ahead and allow more travel time. Traffic jam at the Western Harbour Tunnel entrance on the Kowloon side. Photo: Apple Daily. Stage two of the Central-Wan Chai Bypass is still under construction and is expected to be completed in around a month. The second stage consists of the link road connecting the bypass and the Rumsey Street Flyover. 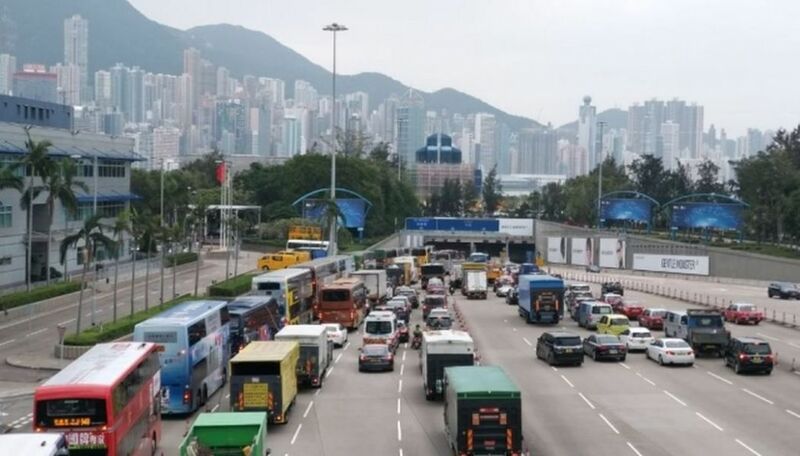 On Monday, commuters experienced the most significant delays along the Western Harbour Crossing, with Apple Daily reporting that the line of traffic was seven kilometres long. Multiple outlets also reported that many drivers were unfamiliar with the lane choices at the bypass, with some drivers switching lanes at the last moment.